More Cessna 172s have been built than any other aircraft. It is probably the most popular flight training aircraft in the world. 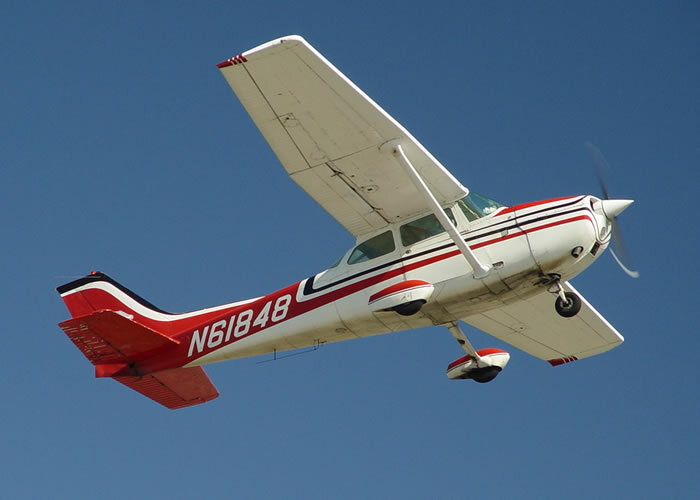 Measured by its longevity and popularity, the Cessna 172 is the most successful mass produced light aircraft in history. The first production models were delivered in 1956 and they are still in production as of 2008; more than 43,000 have been built. The Skyhawk's main competitors have been the Beechcraft Musketeer and Grumman AA-5 series (neither in production), the Piper Cherokee and, more recently, the Diamond DA40. The Cessna 172 started life as a tricycle landing gear upgrade from the taildragger Cessna 170, with a basic level of standard equipment. The first flight of the prototype was in November 1955. The 172 became an overnight sales success and over 1400 were built in 1956, its first full year of production. Early 172s were similar in appearance to the 170, with the same straight aft fuselage and tall gear legs, although the 172 had a straight vertical tail while the 170 had a rounded fin and rudder. Later 172 versions incorporated revised landing gear and the sweptback tail which is still in use today.The final aesthetic development in the mid-1960s, was a lowered rear deck that allowed an aft window. Cessna advertised this added rear visibility as "Omni-Vision" . This airframe configuration has remained almost unchanged since then, except for updates in avionics and engines, including the Garmin G1000 glass cockpit in 2005. 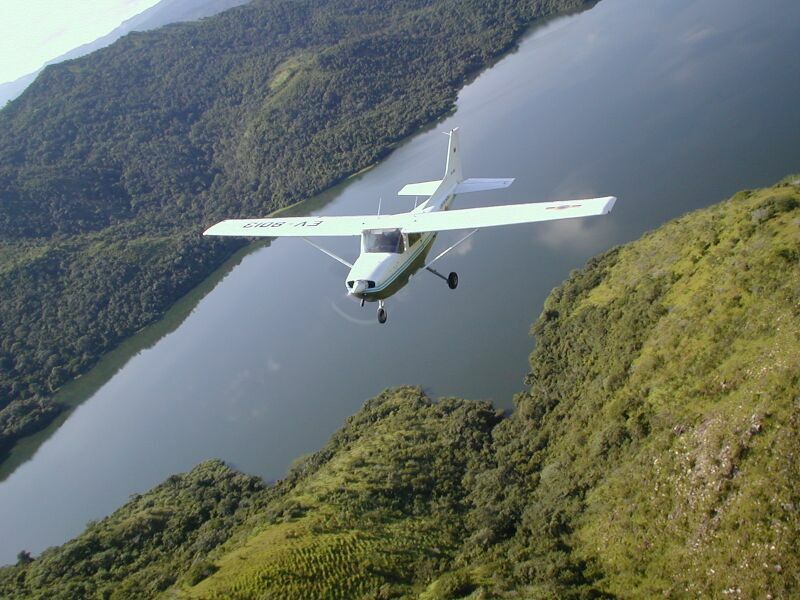 Production had been halted in the mid-1980s, but was resumed in 1996 with the 160 hp (120 kW) Cessna 172R Skyhawk and was supplemented in 1998 by the 180 hp (135 kW) Cessna 172S Skyhawk SP. The basic 172 appeared in November 1955 as the 1956 model and remained in production until replaced by the 172A in early 1960. It was equipped with a Continental O-300 145 horsepower (110 kW) six-cylinder, air-cooled engine and had a maximum gross weight of 2200 pounds. Introductory base price was USD$8995 and a total of 4195 were constructed over the five years. The 1960 model 172A introduced a swept back tail and rudder, as well as float fittings. The price was USD$9450 and 1015 were built. The 172B was introduced in late 1960 as the 1961 model and introduced a shorter undercarriage, engine mounts lengthened three inches (76 mm) , a reshaped cowling and a pointed propeller spinner. For the first time, the "Skyhawk" name was applied to an available deluxe option package. This added optional equipment included full exterior paint to replace the standard partial paint stripes and standard avionics. The gross weight was increased to 2,250 lb (1,020 kg). The 1962 model was the 172C. It brought to the line an optional autopilot and a key starter to replace the previous pull-starter. The seats were redesigned to be six-way adjustable. A child seat was made optional to allow two children to be carried in the baggage area. The 1962 price was USD$9895. A total of 889 172C models were produced. The 1963 172D model introduced the lower rear fuselage with wraparound Omni-Vision rear window and a one-piece windshield. New rudder and brake pedals were also added. 1146 172Ds were built. 1963 also saw the introduction of the 172D Powermatic. This was equipped with a Continental GO-300E producing 175 horsepower (130 kW) and a cruise speed 11 mph (18 km/h) faster than the standard 172D. In reality this was not a new model but was a Cessna 175 Skylark that had been renamed for its last year of production. The Skylark had gained a reputation for poor engine reliability and the renaming of it as a 172 was a marketing attempt to regain sales through rebranding. The move was not a success and neither the 1963 Powermatic nor the Skylark were produced again after the 1963 model year. 1964 Cessna 172EThe 172E was the 1964 model. The electrical fuses were replaced with circuit breakers. Gross weight was increased to 2,300 lb (1,000 kg) where it would stay until the 172P. 1401 172Es were built that year as production continued to increase. The 172F introduced electrically-operated flaps to replace the previous lever-operated system. It was built in France by Reims Cessna as the F172 until 1971. These models formed the basis for the US Air Force's T-41A Mescalero primary trainer. A total of 1436 172Fs were completed. The 1966 172G introduced a more pointed spinner and sold for USD$12,450 in its basic 172 version and USD$13,300 in the upgraded Skyhawk version. 1597 were built. The 1967 model 172H sold for USD$10,950 while the Skyhawk version was USD$12,750. 839 were built that year, representing the first year that production was less than the year before. The 1968 model marked the beginning of the Lycoming powered 172s. The familiar 172 needed to be re-engined because Cessna had cancelled its contract with Continental for their venerable 0-300 6-cyl engine of 145 horsepower (108 kW). The "I" model was introduced with a Lycoming O-320-E2D engine of 150 hp (110 kW), an increase of 5 hp (3.7 kW) over the Continental powerplant. The increased power resulted in an increase in optimal cruise from 130 mph (210 km/h) TAS to 131 mph (211 km/h) TAS. There was no change in the sea level rate of climb at 645 feet (197 m) per minute. The 172I also introduced the first standard "T" instrument arrangement. The 172I saw an increase in production to record levels with 1206 built. The next model year was the 1969 "K" model. The 1969 172K had a redesigned vertical fin cap and reshaped rear windows. Optional long range 52 US gallon wing fuel tanks were offered. The rear windows were slightly enlarged by 16 square inches. The 1969 model sold for USD$12,500 for the 172 and USD$13,995 for the Skyhawk, with 1170 made. The 1970 model was still called the 172K but sported fiberglass, downward-shaped, conical wing tips. Fully articulated seats were offered as well. Production in 1970 was 759 units. The 172L, sold during 1971 and 1972, replaced the main landing gear, which were originally flat spring steel with tapered, tubular steel gear legs. The new gear had a width that was increased by 12 inches (300 mm). The new tubular gear was lighter, but required aerodynamic fairings to maintain the same speed and climb performance as experienced with the flat steel design. The "L" also had a plastic fairing between the dorsal fin and vertical fin to introduce a greater family resemblance to the 182's vertical fin. The 1971 model sold for USD$13,425 in the 172 version and USD$14,995 in the Skyhawk version. 827 172Ls were sold in 1971 and 984 in 1972. 1977 Cessna 172MThe 172M of 1973-76 gained a drooped wing leading edge for improved low speed handling. This was marketed as the "camber-lift" wing. The 1974 172M was also the first to introduce the optional 'II' package which offered higher standard equipment, including a second nav/comm radio, an ADF and transponder. The baggage compartment was increased in size and nose-mounted dual landing lights were available as an option. The 1975 model 172M sold for USD$16,055 for the 172, USD$17,890 for the Skyhawk and USD$20,335 for the Skyhawk II. Total production of "M" models was 7306 over the four years it was manufactured. In 1976, Cessna stopped marketing the aircraft as the 172 and began exclusively using the "Skyhawk" designation. 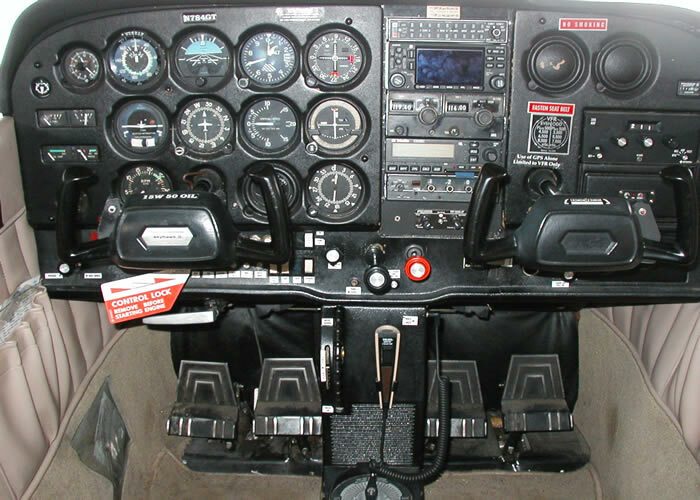 This model year also saw a redesigned instrument panel to hold more avionics. The Skyhawk N, or Skyhawk/100 as Cessna termed it, was introduced for the 1977 model year. The "100" designation indicated that it was powered by a Lycoming O-320-H2AD, 160 hp (120 KW) engine designed to run on 100 octane fuel, whereas all previous engines used 80/87 fuel. Unfortunately, this engine proved troublesome and it was replaced by the similarly rated O-320-D2J to create the 1981 172P. The 1977 "N" model 172 also introduced rudder trim as an option and standard "pre-selectable" flaps. The price was USD$22,300, with the Skyhawk/100 II selling for USD$29,950. The 1978 model brought a 28-volt electrical system to replace the previous 14-volt system. Air conditioning was an option. The 1979 model "N" increased the flap extension speed for the first 10 degrees to 115 knots. Optional fuel cells increased the optional fuel to 66 US gallons. The "N" remained in production until 1980 when the 172P or Skyhawk P was introduced. The "P" model also saw the maximum flap deflection decreased from 40 degrees to 30 to allow a gross weight increase from 2,300 lb (1,000 kg) to 2,400 lb (1,100 kg). A wet wing was optional, with a capacity of 62 US gallons of fuel. The price of a new Skyhawk P was USD$33,950, with the Skyhawk P II costing USD$37,810 and the Nav/Pac equipped Skyhawk P II selling for USD$42,460. In 1982, the "P" saw the landing lights moved from the nose to the wing to increase bulb life. The 1983 model added some minor sound-proofing improvements and thicker windows. A second door latch pin was introduced in 1984. 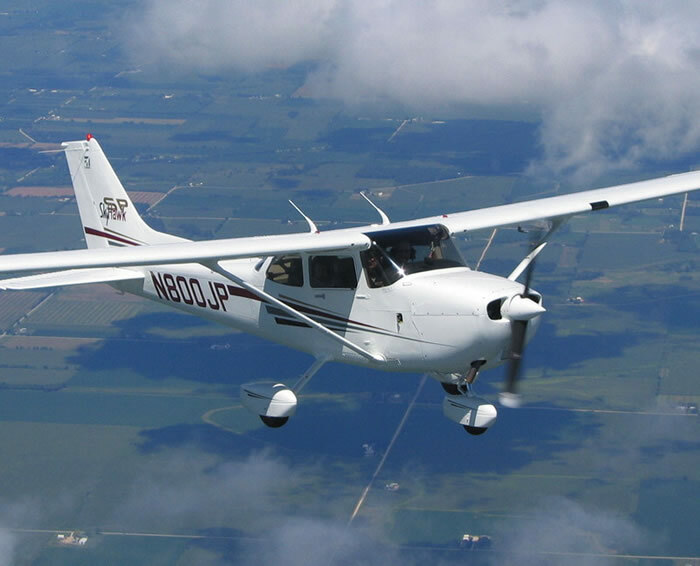 Production of the "P" ended in 1985 and no more 172s were built for eleven years as legal liability rulings in the USA had pushed Cessna's insurance costs too high, resulting in dramatically increasing prices for new aircraft. There were only 195 172s built in 1984, a rate of fewer than 4 per week. The 172Q was introduced in 1983 and given the name Cutlass to create an affiliation with the 172RG, although it was actually a 172P with a Lycoming O-360-A4N engine of 180 horsepower (130 kW). The aircraft had a gross weight of 2,550 lb (1,160 kg) and an optimal cruise speed of 122 knots compared to the "P"s cruise speed of 120 knots (220 km/h) on 20 hp (15 kW) or less. It had a useful load that was about 100 lb (45 kg) more that the Skyhawk P and a rate of climb that was actually 20 feet (6.1 m) per minute lower, due to the higher gross weight. Production ended after only three years when all 172 production stopped. The Skyhawk R was introduced in 1996 and is powered by a derated Lycoming IO-360L2A producing a maximum of 160 horsepower (120 kW) at just 2,400 rpm. This is the first Cessna 172 to have a factory fitted fuel-injected engine. The 172R's maximum takeoff weight is 2,450 lbs (1,113kg). This model year introduced many improvements, including a new interior with soundproofing, an all new multi-level ventilation system, a standard four point intercom, contoured, energy absorbing, 26g front seats with vertical and reclining adjustments and inertia reel harnesses. A Cessna 172S Skyhawk at ILA 2006The Cessna 172S was introduced in 1998 and is powered by a Lycoming IO-360L2A producing 180 horsepower (130 kW). The maximum engine rpm was increased from 2,400 rpm to 2,700 rpm resulting in a 20 hp (15 kW) increase over the "R" model. As a result, the maximum takeoff weight was increased to 2,550 lbs (1,157kg). This model is marketed under the name Skyhawk SP, although the Type Certiciation data sheet specifies it is a 172S. The 172S is built primarily for the private owner-operator and is offered with the Garmin G1000 avionics package as standard equipment and leather seats. As of 2007, both the R and S models are in production. 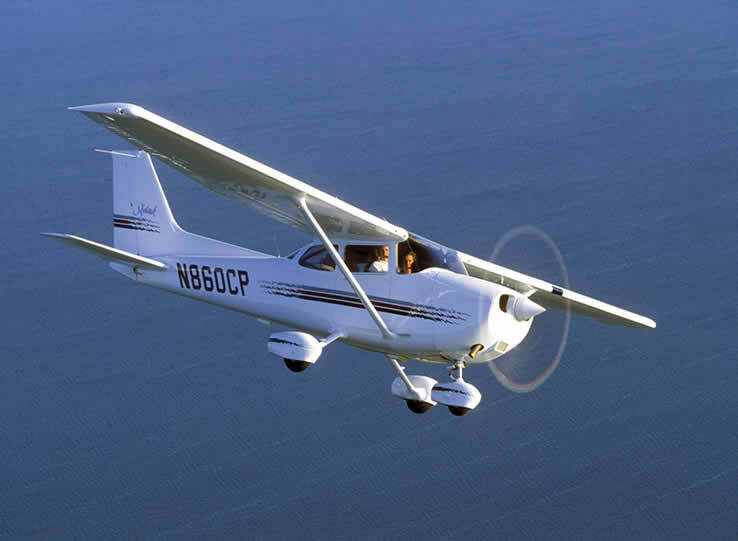 Cessna introduced a retractable-gear version of the 172 in 1980 and named it the Cutlass 172RG. The Cutlass featured a variable pitch, constant speed propeller and more powerful Lycoming O-360-F1A6 engine of 180 horsepower (130 kW). The 172RG sold for about USD$19,000 more than the standard 172 of the same year and produced an optimal cruise speed of 140 knots (260 km/h), compared to 122 knots (226 km/h) for the contemporary 160 horsepower (120 kW) version. The 172RG did not find wide acceptance in the personal aircraft market, but was adopted by many flight schools as a complex aircraft trainer. Between 1980 and 1984 1177 RGs were built, with a small number following before production ceased in 1985. While numbered and marketed as a 172, the 172RG is actually a variant of the Cessna 175 type. 1977 model R172K Hawk XP on Wipline amphibious floatsThe Reims Rocket, designated FR172J and produced by Reims Aviation from the late 60s to the mid 70s, was powered by a Rolls-Royce built, fuel-injected, Continental IO-360D (210 hp) with a constant speed prop. This was essentially the same engine used in the twin-engined Cessna 336/337 series. While numbered and marketed as 172s, the R172J and R172K models are actually variants of the Cessna 175 type certificate.